Ernst Beyeler (1921–2010) was a titan of the international art scene in the twentieth century. Born in Basel, Switzerland, he began his career as an apprentice in an antiquarian bookstore, eventually taking over the business and shifting his focus from books to dealing and collecting art. 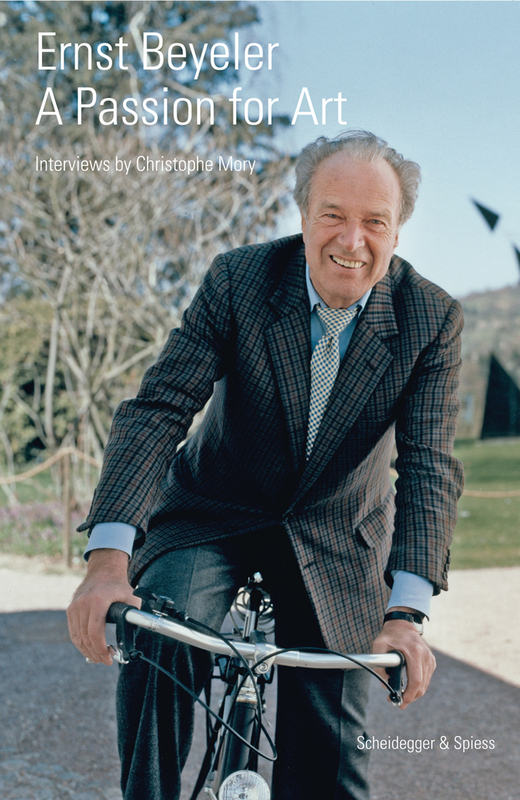 Through his discerning eye for art, his close relationships with many of the twentieth century’s great artists, and his role in the foundation of Art Basel, the world’s largest art fair, Beyeler transformed his hometown into a hub for international art. Published in English for the first time, A Passion for Art tells Beyeler’s unusually personal story, through interviews with Christophe Mory. Beyeler describes the evolution of his career and his encounters with artists such as Picasso, Alberto Giacometti, and Francis Bacon. He also speaks in detail about his own collection, which focuses mainly on twentieth-century artists like Matisse, Mondrian, Klee, and Dubuffet. This art collection is the basis for the Fondation Beyeler, a museum designed by Renzo Piano that houses over 150 pieces of art handpicked by Beyeler. Offering deep insight into the contemporary art trade and presenting an intimate portrait of Beyeler himself, A Passion for Art provides a new and distinctive perspective on the postwar European art world.